Elaine Hancock (Olney, United States) on 9 May 2017 in Animal & Insect. He would swing on it and shake the peanuts out and then jump down to the ground and eat them. Happy Silly Tuesday! wow !! What a clever little critter !! Hats off to his I Q !!! Ah, yes, they are so confident ! Une très belle prise ! il est vraiment magnifique! Très drôle la position ! Wow nice capture! Beautiful image! Nice model! They know every trick in the book. A wonderful look at this very busy squirrel. Great ST image. Beautiful shot of this clever and determined critter. A strong document which proves what an acrobat the a squirrel is. An excellent picture of him. Oh my!! The perfect capture for Silly Tuesday!! 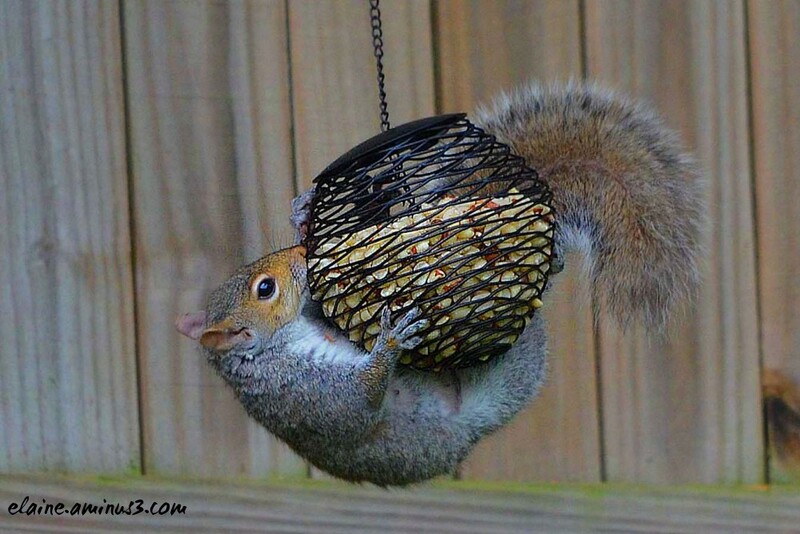 This squirrel is quite agile and persistent! Excellent shot!